Grant Morrison is well known for looking at the banality of life and giving things a unique cosmic twist. 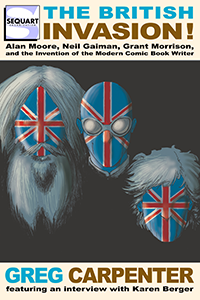 To live in his world of a magic-fuelled, comic rock-star means working in a world of Kirby Machines mixed with astral projected UFOs, rituals, and psychometric magic which all lead quite nicely into his accomplished alternative takes on traditional comic book storytelling. 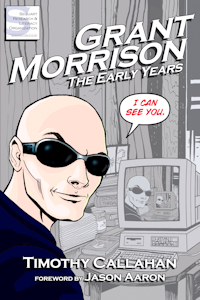 However, the more you read Morrison’s work the more you see that the perceived uniqueness of his work at times replicates itself again and again. And some of his themes, tropes, and ideas he has made famous started life a little earlier than books like Animal Man, Arkham Asylum, and Doom Patrol. If you look hard enough, some of the ideas for these and other books, and the foundations on which he has built his reputation on, can be found in one of his most early and obscure work. Apart from the reprints of PAD’s Spider-Man, the book also contained a comic strip written by Morrison about the Zoids, a Japanese toy line which was adapted into a comic strip – with the obvious intention of selling the toy line of the back of it. Running for 51 issues between March 1986 and February 1987 the Zoids comic took the toys and created a world in which the battling robots lives in an eternal struggle of war – the remnants of an ancient race who had created the Zoids for ‘fun’ gladiatorial combat. The book was for its time quite dark and innovative – having a wry British-ness to it but obviously borrowing and copying from the blockbuster American films of the time. The books’ premise of a rag-tag team of survivors (whose leader Captain Heller looked uncannily like Deckard from Blade Runner) trying to survive in a hostile environment was cliché, but Morrison as with a lot of his work put his own unusual spin on things. However as well as the obvious influences Morrison took for his initial stories there are key elements in the Zoids stories that reflect in his later work. Morrison’s first major personal work The Invisibles, which reads like an amalgamation of Morrison’s experiences and outlook on life at the time, focuses on Dane’s quest for enlightenment. This stylized journey is also prominent in his later works such as The Filth and All Star Superman, where Greg Freeley and Kal El both struggle to understand the purpose in life, and finally accept their final fate. Each move a little way towards fulfilling their journey towards becoming spiritual enlightened beings. However, for all these thought provoking narrative ideas about comic character, spiritual growth, and the evolution of an imaginary persona attempting to reach enlightenment, this was not Morrison’s first attempt to spiritually evolve a character through a comic narrative. This idea actually played out years before the Invisibles in the pages of the Zoids comics. Morrison’s first work for Zoids was based around a character called ‘Morr’ (Morrison?) – A tentacled, Lovecraftian pilgrim (hyper-intelligent and from an ancient time) whose world had been ravaged by the Zoids but had managed to contain the positive essence of his planet in an glowing orb. His galactic preaching leads him to the warring robotic world of Zoidstar where he saves a robotic Zoid driver (all the Zoids have robotic pilots) and eventually, over the course of the issue, tells the driver his story and slowly converts him away from his warring ways, showing him compassion, friendship, and eventual enlightenment with the use of his orb. While rejected by others Zoids, Morr is eventually killed in a hail of lazer-fire, during which the gift of the appreciation of life is finally bestowed on his Zoid disciple, whose last moments of life remove the driver from it’s surroundings, and beholds the world from a higher plane, enlightened. 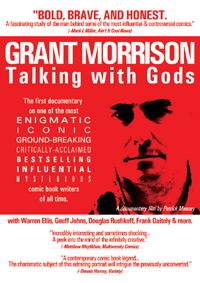 This only lasts seconds as he too is shot down in hail of gunfire – however, briefly, the driver taps into Morrison’s spiritual beliefs and shares some of his philosophy later revealed in his subsequent works. One tropes that has been featured prominently in Morrion’s work is the notion of ‘loss of person’ and the removal of free thought and individuality. 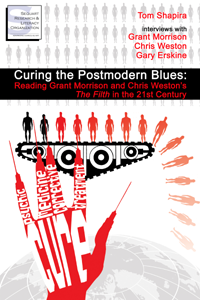 Whether or not Greg Freely is actually a member of the Filth (and not a para-personality) or King Mob of The Invisibles (due to brainwashing), Morrision’s work continually attempts to take away mankind’s individuality and uniqueness. This can also obviously also be seen in Arkham when its stated in the evaluation of the Joker that he actually has no identity and has has evolved a new personality disorder where he subconsciously adapts his own psyche and identity, formatting and rewriting himself, having no identity at all. Of course his nemesis Batman also literally loses his mind to the Black Glove in Batman RIP. Morrison sees loss of freewill, personality, thoughts and creative thinking as a nightmare scenario, and that nothing could be as scary as an outside power taking away your personal agency. That ideas would be taken from you without your consent is terrifying. As with a lot of Morrison’s main ideas, this notion is not something that first appeared in his Vertigo books. Pre-dating the Borg, hive mind ideal (‘resistance is futile”) a la Star Trek: The Next Generation, Morrison was experimenting with this idea of lack of individuality in the pages of Zoids nearly two years earlier. While the red and blue Zoids battle each other on Zoidstar, the main protagonist Captian Heller and his crew decide they have to fight back – both against the Zoids, themselves, and, later on in the story, against one their own. To do this, they have to hijack a Zoid and commandeer it – which seems to involve a sacrifice of individuality. It is eventually up to Griff, Captain Hellers son to literally lose his mind in a Zoid, merging with the robot, in doing so becoming more man than machine and nearly lost to a vegetative state. While Griff still has a modicum of control learning to tame the Zoid, he is left permanently effected and scarred in a similar way as the the animals of We3 – both are changed, enhanced, and evolved through technology. Each are unwilling participants in a war they have little to no control over, and even more so in Final Crisis, where we see Darkseid eventually invade earth using the anti-life equation to enslave mankind and it’s signature saviors. Griffs merging with a machine also reflects Doom Patrol’s Cliff whose consciousness becomes part of the mechanical hero Robotman; both are trapped and locked in their respective bodies. Even as the machine elements are removed they have already fused with their consciousness. As we see throughout the rest of the series, Griff ‘feels’ the thoughts of the machines. Tagged Doom Patrol, Grant Morrison, Spider-Man, The Invisibles, Zoids. Bookmark the permalink. Robert Mclaughlin in a senior lecturer at Birmingham City University where he teaches Media and Business on BSc and Msc degree Courses. He is a freelance copywriter that has written for Model and Collectors Mart, Collectors Gazette, and regularly contributes to websites such as www.denofgeek.com and www.kolektomagazine.com. He has also provided commentary on the media and gaming industry for local and national radio (BRMB/Free Radio and Radio 1). 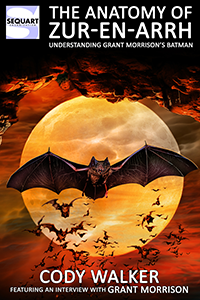 See more, including free online content, on Robert McLaughlin's author page. Great article! I want to hear more about Peter Parker and Tommy Boyd! Interesting article, Robert. Just wanted to say that Morrison himself actually talks about the evolution (and distillation) of his ideas from Zoids to The Invisibles in the Disinformation book about the latter series, ‘Anarchy For The Masses’. That’s worth a look for anyone who enjoyed reading this piece. Oh, and I, too, need to hear more about this Peter Parker/Tommy Boyd crossover! For anybody else who is reading this long after it was posted and is wondering about the Spider-man Wide Awake Club story… In actual fact, it had nothing to do with Spider-man and Zoids and was published as a back-up strip in issue 26 of Marvel UK Secret Wars. Sadly, I no longer have the issue and don’t know who the artist was, but surprisingly, it was written by Marvel’s editor-in-chief Jim Shooter! The story was only a few pages long, featured Spider-man’s black costume and was in full colour. It did feature Tommy Boyd and two other (real) presenters, but no Timmy Mallet. The plot ran thusly: Peter Parker is sent by the Daily Bugle to England for a story about British TV. 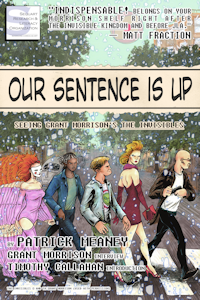 He ends up behind the scenes at The Wide Awake Club, where Tommy and the gang are talking about UFO reports. These (obviously) turn out to be true. Less obviously, they turn out to be true when Tommy’s chair is revealed to be a skrull! Then there’s a fight, a jokey wrap-up and the end. It was fun stuff and I’m sorry I lost it, particularly as it seems impossible to find now. I looked it up. It was Barry Kitson on art.